Mags, Herald Spy of Valdemar, and his wife, Amily, the King’s Own Herald, are happily married with three kids. Their daughter, Abidela, dreams of building on her parents' legacy by joining her father's network of spies, hoping to offset her seeming lack of a Gift. But when Abi senses the imminent collapse of a bridge only moments before it happens, she saves countless lives, including that of her best friend, Princess Katiana. The experience, though harrowing, uncovers her unique Gift—an ability to sense the physical strains in objects. Intrigued by the potential of her Gift, the Artificers seek to claim her as their own—but only the Healers can train her. Through training with both of them, Abi discovers unique facets of her Gift, including a synesthetic connection to objects that allows her to “see” as well as feel the strains. 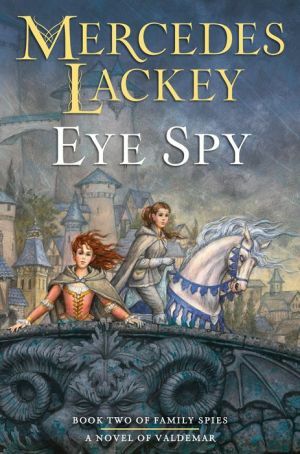 Her Gift may also grant her a distinct advantage as a spy—there won’t be a building in the entire kingdom of Valdemar with a secret room that she doesn’t know about. With the help of her mentors, she must hone her gift to uncover the hidden secrets in the depths of Valdemar.